Nailfold Blood Vessels reveal a Biological Marker for Schizophrenia! In an earlier post is described that schizophrenia became known for a high occurence of minor physical anomalies (MPA’s). 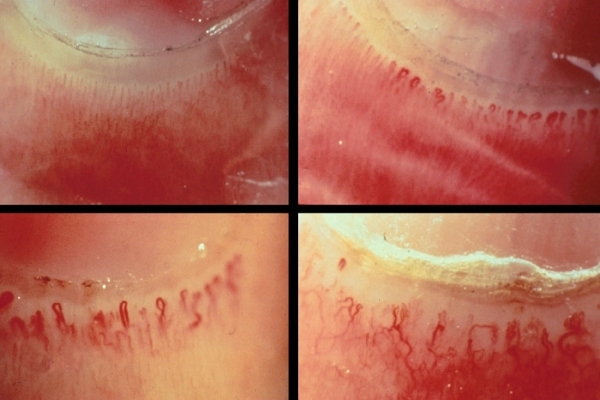 Another example of a developmental abnormality that has been studied as a hand marker for schizophrenia, but which lies outside the scope of the traditional MPA construct, is the occurence of visibility of the blood vessels in the proximal nailfold – a.k.a. 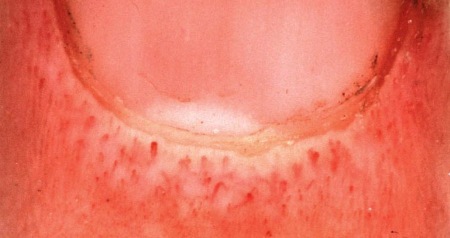 ‘nailfold plexus visibility’ (NPV – which requires the use of a microscope for proper assessment). A high level of nailfold plexus visibility is rare in the general population (occurring in 3-7% of healthy adults) while the rate of high NPV ranges from 20-70% in populations with schizophrenia (Curtis et al., 1999).